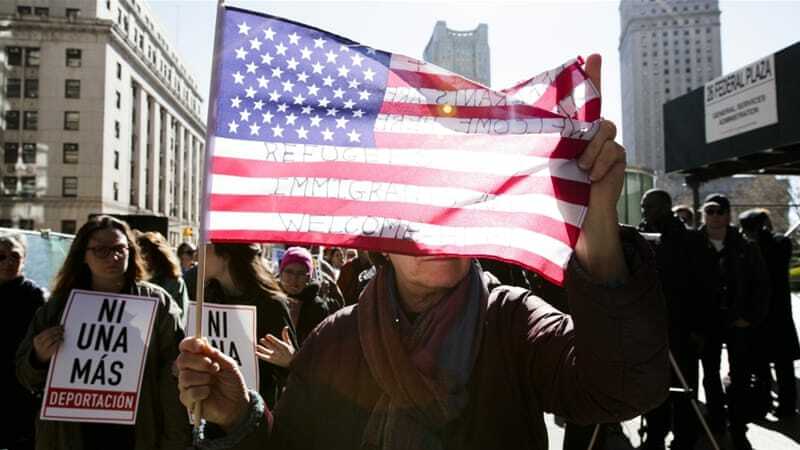 A US judge has blocked President Donald Trump’s executive order that sought to withhold federal funds from so-called sanctuary cities, dealing another legal blow to the administration’s efforts to toughen immigration enforcement. US District Judge William Orrick in San Francisco issued the preliminary injunction in two lawsuits on Tuesday – one brought by the city of San Francisco, the other by Santa Clara County – saying the president has no authority to attach new conditions to federal spending. White House chief of staff Reince Priebus said the ruling was the 9th Circuit “going bananas”, referring to the judicial district where the ruling was issued. The 9th Circuit Court of Appeals previously ruled against President Donald Trump’s ban on travelers from several Muslim countries. “We’re taking action to appeal this,” Priebus told reporters of the sanctuary city decision. Trump’s January executive order on immigration ordered the Department of Homeland Security and justice department to block cities who do not cooperate with federal immigration enforcement from receiving federal funds. Hundreds of cities, counties and states have been categorized as sanctuary jurisdictions in unofficial tallies, including the entire states of California, Connecticut, New Mexico and Colorado. San Francisco City Attorney Dennis Herrera praised the ruling on Tuesday and said the president was “forced to back down”. “This is why we have courts – to halt the overreach of a president and an attorney general who either don’t understand the Constitution or chose to ignore it,” Herrera said in a statement. Santa Clara County Counsel James Williams said the ruling will allow cities and counties across the country to prepare budgets without the “unconstitutional threat of federal defunding hanging over our heads”. Santa Clara County sued in February, saying Trump’s order was unconstitutional. San Francisco filed a similar lawsuit. The US Justice Department threatened last week to cut some funding to California as well as eight cities and counties across the United States. The county argued it was owed millions of dollars of federal funding every day and that its budgetary planning process had been thrown into disarray by the order.